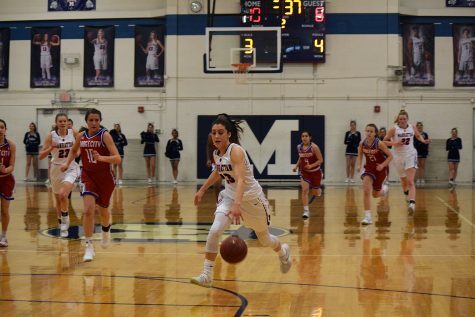 Third place may not be the best of finishes but it’s certainly a start for the Manhattan High girls basketball team as they took third at the McPherson tournament. The team ended in dramatic fashion, beating Ulysses in the consolation game in double over time, 47-43 giving them a record of 9-4. 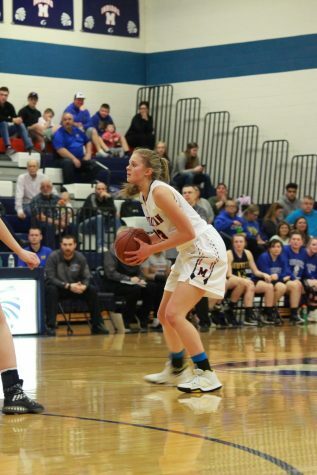 The team would began the tournament with Wellington and after beating them 81-51, they took on Olathe South where they would face defeat for the fourth time this season losing 21-62 in their largest deficit of the season so far. Regulation came to a close with the teams tied at 37 and the first overtime would end in a dramatic fashion with a jumper from Ulysses to tie the game yet again. 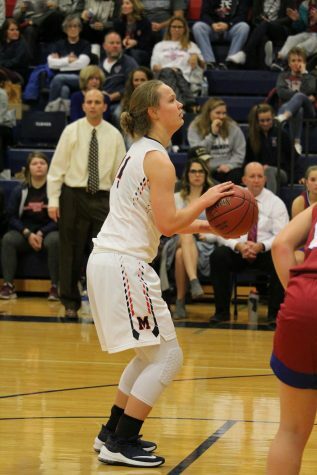 It wasn’t until the second overtime that a few late drives lead by senior Haleigh Harper would get the team the lead. Harper would lead the team in points, scoring 15 for the night, 6 of which came from free throws. 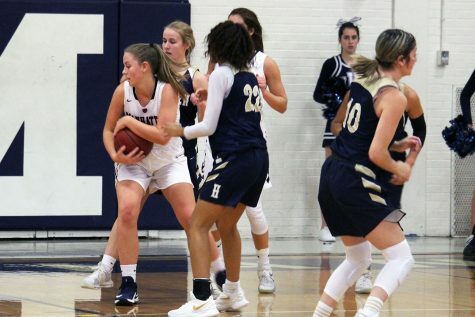 The fate of the game was sealed with two pressure-filled free-throw attempts by junior Aloera Ostermann, which would give the team a four-point lead. The team has come a long way since their earlier in the season, during which they suffered back to back losses. The team has won four of the five games that have occurred since those and they appear to be back on track, thanks to the players both on and off the court. The team will go on to face Seaman on Friday at Seaman.